This IBM study has been referred to in recent discussions on LinkedIn about why and how change programs fail and succeed. The study, that involved 1,130 CEOs, conducted in-depth analysis to determine the characteristics of the Enterprise of the Future. These conclusions suggest to me a key about the successful future of business - Sustainability and thriving on the challenges of change are intimately connected. 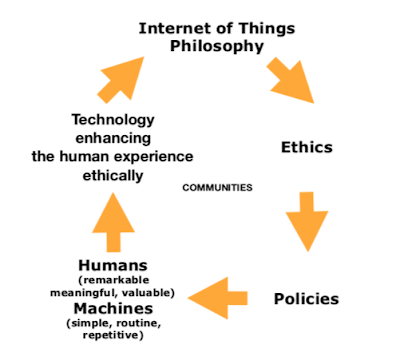 The following diagram from the study suggests five core traits of the enterprise of the future. Each are very useful ways to think about our businesses and determine how well we are placed to thrive on the future. My reflections on each of the five are below. I meet many people in person each month. Conversations often centre around their hunger for change and yet anxiety about making desired change happen. There is also frustration with being sustainable and a concern about the costs of actually being sustainable. This frustration is particularly evident in the SME space where there is not generally the investment dollars available like there is in big corporations. Hunger must be satisfied otherwise we all become ineffective. This kind of innovation is key to satisfying our hunger. A successful business today delivers value to all stakeholders, not just the customer. And such value is about what stakeholders demand (must have), desire (should have) and feel they deserve (nice to have). And the wider community and our planet are increasingly seen, rightly, as key stakeholders of all businesses. Sustainability is moving from a nice to have to a must have in the eyes of the ethical consumer. As I have referred to many times, value and values based businesses are on the rise. Our world is a very small place. Too small in fact, and with insufficient resources to accommodate us all in the life-style many of us have become accustomed too. There is increasing awareness of the interconnectedness of all living beings. Unless your business products and services and how you do business reflect this interconnectedness you will not survive. Further and increasingly, solutions to the challenges we all face must be global to actually be real solutions. I often reflect lately on a common phrase in my school reports: “Ian is a disruptive influence in class.” I was bored with the status quo even then! Disruptive by nature. Today I am much more constructive in how I disrupt! Nevertheless I believe we must be continually questioning the status quo and asking how can we do better? How can we be more valuable while at the same time being sustainable? In the first Willability webinar the topic was No BS Relationships and our special guest Paul Dunn shared his insights from reading the book Spendshift on authenticity, transparency, clarity, trust, generosity, certainty. We all agreed that these are all keys to No BS relationships. The ensuing conversation was very much centred on how being genuine was a key to such relationships. There is a lot of smoke and mirrors around sustainability and change and it doesn’t cut it with the most discerning of customers in history, which today I think are the majority of people. What does the future of your enterprise look like? You can’t predict it. You can create it. PS The next Willability Webinar on March 29th is about collaboration, a key to sustainability and thriving on the challenges of change. My very special guest is Susan Furness a pioneer in the art of conscious conversations. Susan is based in Dubai and is a person I collaborate with. In fact we will be working together in Dubai at the time of this webinar. Please join us. Bring your uniqueness. Share. Change.